In this article we are going to discuss using CBD oil for dog seizures. We will explain what seizures are, why they’re caused, and what you can do as an owner to aid your dog that’s dealing with this disorder. We’ll also be covering the common and traditional pharmaceutical treatment options given by most vets along with a new and fairly recent breakthrough using CBD oil as a safe and natural option. It’s no mistake that witnessing your dog have a seizure is never a pleasant experience, no matter how many times you’ve seen it or how mild the episode is. At times, it can be extremely terrifying and raise a number of questions or concerns. What are seizures? How do they happen? Will they keep happening? Are they painful? What kind of medication or treatment can I give my dog to make them stop or better yet, go away completely? These are all common questions that race through our minds when dealing with dogs and seizures. To better understand seizures we first need to identify what they really are. What is a Seizure or Epilepsy? Basically, a seizure is a period of abnormal electrical brain activity. This abnormal activity can affect the whole brain or sometimes only part of it. Epilepsy is a neurological disorder that is diagnosed by a physician. This disorder involves unpredictable seizures and can cause other health problems. Individuals and pets who have this condition will demonstrate symptoms, like the above, that are associated with abnormal electrical activity in the brain. The answer is no. Seizures can be caused by different things and can often occur only once in a pets lifetime. We’ll go over the different causes of seizures in just a minute. For now, let’s discuss the 3 different seizure categories. First there is the generalized category which encompasses the most common types of seizures. These include: tonic, tonic-clonic (often called grand mal), atonic, petit mal (also called absence seizures), and myoclonic seizures. They affect the whole body and both sides of the brain. They can last from a couple of seconds to a few minutes. During this type of seizure the dog may fall, lose consciousness, and convulse. They may lose control of their bladder or bowels, salivate, foam at the mouth, chomp at the jam, and may vocalize through barking or whining. During a generalized seizure they may even stop breathing. Each one of these generalized seizures has a different effect on the brain and will carry different symptoms. Sometimes the symptoms are shared. The body or limbs become suddenly stiff or tense. The dog may have only a small change in awareness during a tonic seizure. They usually involve all or most of the brain, affecting both sides of the body and generally last less than a minute. Vocalizations may be present due to air being forced past the vocal cords. The dog may drop while having a tonic seizure. The first part of a tonic-clonic seizure will begin with tonic symptoms. They are then followed by the clonic segment of the seizure. During this phase the limbs may begin to jerk rapidly accompanied by slight bending and relaxing at the joints. After a few minutes, the convulsions should slow and eventually stop. During a tonic-clonic seizure, your dog may lose control of their bladder or bowel as their body relaxes. Consciousness will returns slowly. 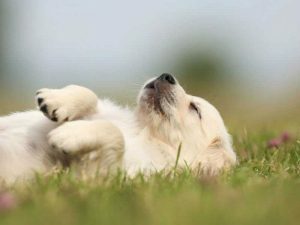 Dogs experiencing these types of seizures generally last one to three minutes. Once aware, the dog may be seem confused, tired, or irritable. Please note that any tonic-clonic seizure that exceeds five minutes needs immediate medical attention. Part or all of the body may become limp. The head may drop, and your dog may suddenly drop to the ground. These seizures are generally short in duration, lasting less than 30 seconds. Your dog will suddenly stop during an activity. A blank look or stare will be present. The eyes may roll upwards and their eyelids may flutter. They generally last less than 10 seconds. These seizures are very brief, usually less than a few seconds. They are often mistaken for tics or instances of clumsiness. These seizures can be easily overlooked because they are so brief and appear as extra normal movements. The second is the Focal category. In these seizures, abnormal electrical activity only happens in part of the brain and causes unusual movements in one limb or side of the body. Examples are twitching on one side of the body, raising just one limb, or turning their head to a specific side. These typically last only a few seconds and can occasionally lead to a generalized seizure. The third category are the Partial seizures. These include random behaviors that can last from a few seconds to a couple of minutes. They might be hard to spot at first because the behaviors can seem slightly normal like; chasing his or her tail, or barking at the wall. Generally, if a dog is experiencing these types of seizures, the behavior will be the same during each one making it easier to identify when your dog is having one. When doing other research, you might hear the terms ‘idiopathic’ or ‘cluster’. The term ‘idiopathic’ is used when the cause of the seizure is unknown. Cluster seizures are when your dog experiences multiple seizures within a short timeframe. Often confused with status epilepticus, during a cluster episode, your dog will have periods of consciousness between each seizure. Unlike cluster seizures, during an episode of status epilepticus, your dog will not regain consciousness between seizures. Both of these conditions are very dangerous and can be life threatening, so please treat them as emergencies. Although seizures may look scary or violent, there is generally no pain involved during the episode. There may however be moderate muscle fatigue after the seizure due to convulsions. A dog might also become slightly confused after as well. Did you know that dogs experiencing seizures is not uncommon? According to the AKC, or American Kennel Club, owners report that as much as 5% of dogs deal with seizures on a regular basis. Now that we’ve defined and identified the different categories and types of seizures, let’s review the causes. Seizures are caused by various reasons. They can manifest as a result of physical trauma, toxins introduced into the body, tumors, cancer, strokes, or other underlying health conditions. Again, if the cause is unknown they will be classified as idiopathic seizures. Genetics can also play a role in what causes a dog to have seizures. 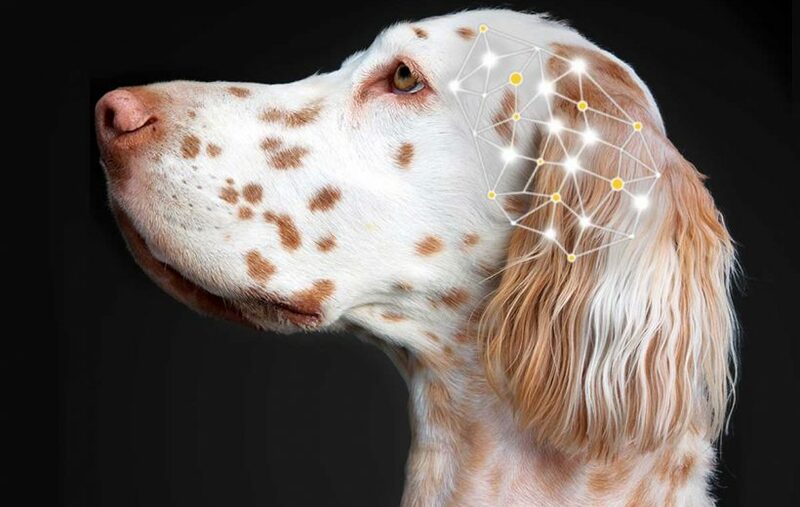 The following breeds are genetically more prone to seizure disorders: Beagles, Belgian Tervurens, Bernese Mountain Dogs, English Springer Spaniels, Finnish Sptiz, German Shepherds, Irish Wolfhounds, Keeshonds, Labrador Retrievers, Poodles, Saint Bernards, Shetland Sheepdogs, and Vizslas. The only time you should move a dog while it is having a seizure if it is in immediate danger. An example would be if your dog drops while having a seizure in the middle of a busy street. Instead it’s best to clear the immediate area surrounding your dog of objects that might harmful while convulsing, like a chair or sharp cornered object. Be mindful of sharp edges near steps or planters, too. Monitor the duration by timing the seizure. It’s useful to keep an accurate record of your dog’s seizure activity. This will prove helpful to a physician during the diagnosis process. If it exceeds more than five minutes, contact your vet as soon as possible. You can comfort your dog by speaking to it, but avoid contact near its mouth as they may chomp or bite down while having muscle spasms. Do not place anything in its mouth. Contrary to popular belief, there is little to no danger of your dog swallowing his or her tongue. Dogs may become incontinent and involuntarily urinate or defecate. It might prove useful to have a small towel handy. If the seizure exceeds more than two minutes, your dog becomes at risk of overheating. Using a cool towel to lower its temperature or running cool water over its paws is recommended. If possible, move the dog indoors or seek a shaded area while recovering. Relocating to an air conditioned room would be ideal. After the seizure your dog may be slightly confused or extremely tired. It’s important to comfort your dog until he or she has recovered. Dogs will often become hungry after a seizure as well. Having food and water readily available is great practice. Hopefully, if your dog has a seizure it doesn’t happen again. However, if your dog has already been diagnosed with epilepsy, let’s review the common treatment options. Currently, most veterinarians will create a care plan that involves pharmaceutical medication as a treatment for epilepsy. This list of medications they prescribe will often include phenobarbital, diazepam (more commonly known as Valium), and potassium bromide. More recently, more and more veterinarians are now recommending CBD, which is a fully natural, non-gmo, gluten free extract from hemp. The benefits of using CBD as a treatment for seizures are proving to be immense. Each day, more and more research is being done on this super cannabinoid. Now, although the traditional pharmaceutical drugs are more popular, they do have some negative side effects. What is also interesting is that despite their long history of use by physicians to treat seizures, not one of these drugs is FDA approved. This is an area of concern as pet owners may be unaware of the risks of these drugs. Phenobarbital is known to cause drowsiness and your dog may become unsteady while moving. In some instances it has even been associated with liver failure. Excessive urination and thirst has also been linked to dogs taking phenobarbital as a seizure medication. Potassium bromide is known to cause upset stomach, stumbling and drowsiness. Mild cases of vomiting and bloody feces have also been reported. It also requires regular blood tests to check the potassium bromide levels in their blood. You should always consult with your veterinarian if you think your dog’s medication or dosage amounts should be changed. Never stop giving your dog its prescribed medication, or go ‘cold turkey’. This can have an adverse reaction and instead accidentally cause a seizure. So now let’s quickly discuss CBD and CBD oil. CBD, short for Cannabidiol, is a powerful cannabinoid derived from the cannabis plant which has been used for medical and therapeutic reasons for thousands of years. The extraction process of CBD from the cannabis plant involves using a solvent such as carbon dioxide (CO2) to pull the element from the plant. Then, the CBD is infused with a carrier oil such as hemp seed oil. It’s important to remember that CBD is not psychotropic. It is extracted from the hemp species of cannabis family, not marijuana. This is an all together different species of cannabis, and will not get your dog high. Humans continue to use CBD oil to help with various conditions. Some of these conditions include Parkinson’s disease, cancer, stress, anxiety, insomnia, psychiatric issues, and seizures. The results show an optimistic future for CBD as a potential treatment for these ailments. Why Use CBD Oil for Dog Seizures? #1. It’s important to note that CBD oil comes from a natural source. This means that it may be a more holistic option for your dog, as opposed to the traditional pharmaceutical drugs. Taking a holistic approach for treatment means to treat your dog as a whole, taking into account mental and social factors, rather than just the symptoms of an illness or disorder. #2. CBD oil is also a vegan option that contains no chemicals or other harmful ingredients. As a result, your dog won’t be ingesting any potentially toxic substances. #3. Another advantage of CBD oil is that it’s easy to use. You can administer the oil directly into the mouth, soak it into a treat, or mix it into a favored snack or meal. #4. CBD oil has also been documented in having highly favorable results with dogs who suffer from anxiety or stress. This is due to the natural calming effect CBD has on the activity of neurons in the brain. 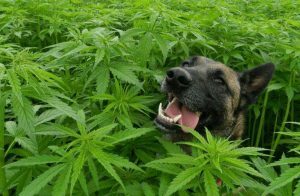 Just like humans, dogs have cannabinoid receptors in their nervous system. CBD, being a natural cannabinoid, is an ideal candidate in achieving optimal results with this system. #5. Additional benefits of using CBD are its antioxidant properties. These powerful antioxidants attack free radicals. The reason why this is so important is that free radicals produce oxidative stress and deteriorate the nervous system of dogs. This oxidative stress is believed to directly influence neurodegeneration, which is one of the most prominent causing factors of epileptic conditions. Are There Any Side Effects of Using CBD Oil for Dogs? Interestingly enough, it’s also important to note that there have not been any reports of severe side effects of using CBD oil for dogs. While there is still no scientific study that shows side effects of CBD in dogs, here is what has been reported in human use; dry mouth, a slight temporary drop in blood pressure, and slight drowsiness during high dosage consumption. Research has shown that CBD decreases pain and inflammation. According to recent studies, CBD is found to have a profound impact on both the immune system and brain receptors. These receptors are responsible for receiving the chemical signals from stimuli and influence the body’s respond to those signals. When these same receptors come in contact with CBD, they create anti-inflammatory responses that have shown to significantly reduce pain. As a result, older dogs experiencing the effects of their age could see a big improvement in their mobility, especially dogs who are diagnosed with arthritis. 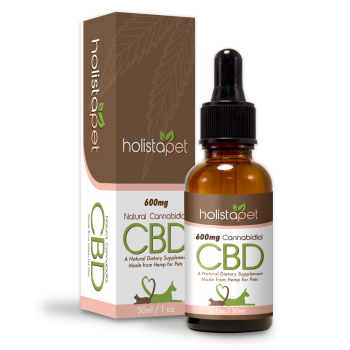 See how HolistaPet CBD products have helped thousands of happy pet owners treat and manage their dog’s ailments including seizures & epilepsy. How Much CBD Oil Should I Give My Dog for Seizures? So, how much CBD oil should you give your dog? The correct dose of CBD oil depends on a couple of factors. The first is the size of your dog. The second is the severity of your dog’s seizures. The bigger your dog is, the more CBD oil you will need to administer. More specifically, the exact dosage of CBD oil depends on the weight of your dog. The general rule of thumb is 0.25 mg of CBD oil per pound of body weight. For example, a dog weighing 20 pounds would require a 5 mg dose, whereas a larger dog weighing 60 pounds would require a 15 mg dose. The more severe your dog’s seizures are, the higher the recommended dosage of CBD oil will be. If your dog is having frequent and heavy seizures, we recommend a stronger dose of CBD oil. For severe cases, the general rule of thumb is 0.5 mg of CBD oil per 1 pound of bodyweight. This means that a dog weighing 20 pounds would require a 10 mg dose, whereas a larger dog weighing 60 pounds would require a 30 mg dose. For a more detailed guide on the proper dosage of CBD for your dog’s seizures, please visit our CBD oil dosage chart. We hope this article has helped you better understand what seizures are and has provided you with a little more knowledge when it comes to treatment options. As always, we invite you to browse HolistaPet’s #1 vet recommended and dog-friendly CBD products for more information. Our all-natural CBD oil is 100% organic and includes only the highest quality non-GMO ingredients to help dogs who suffer from seizures and epileptic disorders. 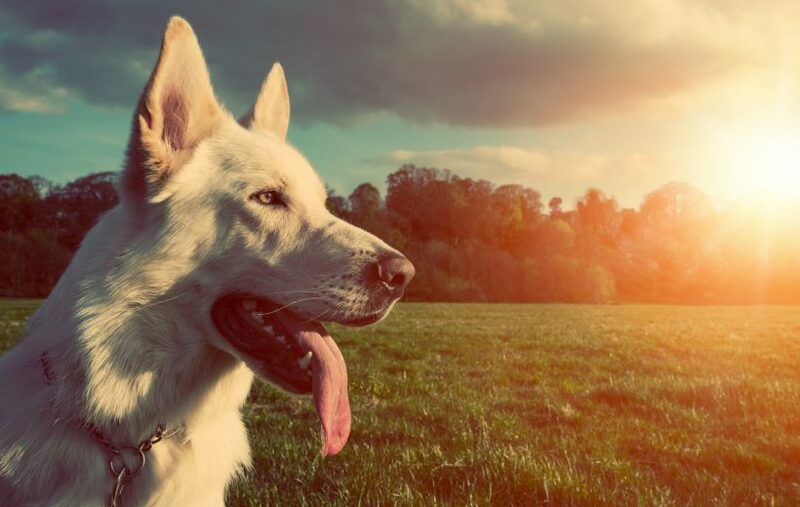 Furthermore, all of our CBD products for dogs are gluten-free, grain-free, and vegan so you can ensure that your dog is consuming only the best of nature’s offerings. For your consideration, we’ve prepared an up-to-date comparison that covers some of the leading CBD brands. Alternatively, If your dog loves crunchy treats, you may consider our popular CBD dog treats. They’ve been specially formulated using organic superfoods that are proven to fight against several ailments. Thanks for visiting and please don’t forget to visit us regularly for more up to date info on CBD and pet health news! We wish you and your furry companion health and happiness always. Research has shown that CBD may have many therapeutic uses. Below is a list of recent studies on CBD and its potential for treating seizures and epilepsy. Please note that most of these studies involve cannabinoid molecules, experimental animals, test tubes, and sometimes human cell-lined studies. It’s important to understand that all mammals including dogs, cats, rats, elephants, and humans have cannabinoid receptors which all work in the same way within our Endocannabinoid System. Report from a Survey of Parents Regarding the Use of Cannabidiol in Mexican Children with Epilepsy. 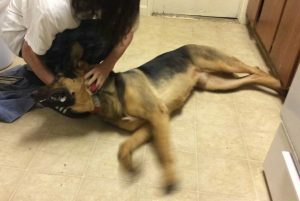 I am looking for information on how to dose a 140 pound dog for seizures. I also need to know if I can just stop his current meds or wean him off. The last question is can I use CBD on a daily basis to PREVENT seizures, or is CBD used just to stop them once they happen? Hey Stephanie thanks for inquiring about HolistaPet! Proper dosing amounts will differ depending on what condition you are using the CBD for. We recommend about 3-5mg per every 10 pounds in body weight for any pet as our general, broad dosage regimen. This should be sufficient to help with your pet’s seizures.. So with that in mind I would recommend starting your 140 pound pet with about 40mg of CBD on a daily basis and see if that helps, it should.. Gradually raise to 70mg a day if you don’t experience good results with 40mg. And yes CBD has been proven effective to be used as a preventative as well so your pet should eventually be seizure free after 2 weeks to a month’s time… And last, CBD will not interfere with any of your current medication. Hope this helps please track your results and share with us here! What about weaning them off current meds? Our dog is on four meds and still is having seizures. They want us to do a $1000 check-up next month, which we can’t afford. Should we start her on cbd and use up the rest of the meds until they run out? Hello Melissa CBD is a natural compound of hemp and will not have any adverse side effects when using it with other over the counter medications. I’m not a veterinarian so I can’t really answer any questions about the weaning off any medication please consult your vet for that. But what I do know is that you can use any meds in conjunction with CBD and your pet should not experience any negative side effects from the CBD. Hope this helps please share with us here your results from using CBD thank you! Hi Stephanie – my 7 pound chihuahua had been suffering seizures, almost daily. They were so bad he would go blind, throw up, and in terms of intensity take about a full day to recover. I started him on CBD oil about 8 months ago. Immediately, I saw results in terms of frequency- massively reduced. Additionally, the severity of the seizure was drastically reduced, and now he doesn’t even have them anymore. It’s been 7 months since he’s had even a mild one. This is amazing stuff – I give him a full dropper every morning (about 6 -7 drops at once -as preventative ). I truly know this has saved my dogs life. It doesn’t change his personality and I have seen NO side effects aside from it preventing his seizures. Hello I read that you guys sell specific cbd oil for dog seizures.. Is it true that your cbd oil is specially formulated for dogs with seizures? I’m not sure what makes it special compared to other brands but do you care to explain a little bit about this or why it is? I always thought that cbd is the same quality everywhere you go and that it all carries the same medicinal properties but I could be wrong. I have a 4 year old Labrador retriever and she is having cluster seizures now and they are getting more frequent. I need to find the best cbd for dog seizures. Please get back reply to my inbox at [email protected] thank you! I read your article and I just want to say that I don’t smoke marijuana and never will. this is just my personal preference but let me just say.. I have an epileptic Boston terrier boxer mix and the vet has put her on Phenobarbital. this is the worst drug ever, my poor dog just stares out in the distance now like she is just brain dead. She doesn’t ever want to play or anything. Her hind legs are suffering from this drug as well. She is dragging her legs behind her with no motivation to run or play. My buddy recommended that I feed her a marijunaa edible said it would probably help.. well IT DID! the marijuana cookie she ate had her playing and running chasing the ball again just after one cookie! My point is. Now I’m a believer in this stuff really works!!. I just bought your cbd oil for seizures in dogs and can’t wait to give it to her. I can’t be buying cookies from the dispensaries anymore my dog can’t eat that junk food. I have a 3.5 lb Chihuahua who is having cluster seizures. Based on your recommendation, would I give her .75mg to 1.0mg? Would that be once per day or some other frequency? It is awful to witness & to assume she is probably experiencing seizures, too, when I am at work and can not be there to care for her. She is in the middle of eostrus; does this affect her frequency of seizures? She regains regular energy after a short while. Are there particular brands of food that reduce seizure occurances as well? Hi Anne- I also have a chihuahua that suffered terrible seizures. He’s 6 pds. I give him a full dropper every morning as preventative – about 7 drops all at once. His seizures have almost completely stopped. The last one he had – almost 7 months ago was only slight shaking – not even close to the severity level he used to have. It hasn’t changed his personality – He’s had no negative side effects, and I know without a doubt this has saved his life. He used to get seizures daily – now he doesn’t even have them at all. I know there are different brands – I chose innovet PurCBD for dogs/cats, but I’m sure as long as ingredients show pure phytocannabidol your good. This absolutely stopped the frequency and severity of attacks, and I give it to him every morning to prevent them. Best product ever for my lil guy. Wow I’m a believer this stuff works for my dog. great job on your tincture product! We have tried a series of medications to stop our dog, a 7 year old German Shepherd, from having seizures. He was on Phenobarbital, but it made him too lathargic and made it difficult for him to walk. We are thinking of giving him CBD oil, but our vet says that we have to give it to him every few hours for it to work, but our schedule does not permit that. Is there a way to give him the oil once or twice a day? Or do we have to give it to him several times a day? Hi Adi. we generally recommend 2-5mg of CBD for every 10lbs of body weight. This can be divided into 2 doses a day. One in the morning and one at night. I’ve never heard of anyone needing to administer it every 2 hours. The best way to go about it is to try it once a day and measure your results. I just heard about the CBD and seizures. My dog has seizures and has been on phenobarbital for about 3 years but his blood level is okay. However I would like to wean him off of that. He weighs 42 LB and I would like to get him the biscuits so how many biscuits would you recommend I feed him daily? I noticed you said that he could be on phenobarbital and biscuits at the same time while I try to wean him off of the drugs. Thank you for your help. Hello Sue! yes this is correct. See our dosing chart: https://holistapet.com/cbd-dosing-chart-for-pets/ We recommend between 2mg and 5mg per every 10 LBS of body weight so for your 42 LB dog we would want to start off giving 8mg. This would be nearly 2 CBD dog biscuits since they are 5mg each. Hello, Tanya CBD should start taking effect usually within minutes. Hello, i have 7 year old chow chow, he is 62lb. In April he have seizure for the first time, multiple in 12 hours period. From April till now, every 20-25 days he have seizure, sometime 2 times per 12-24 hours. 2 days ago he have 5 seizures in 15 hours so we take him imediately to VET. He say, its time for phenobarbital til the end of my dog life. I read so many articles, i already buy CBD oil 7%. My question is, what is ideal dose per day? 2-3 drops – 2 times per day or ? Thank you for answering. Best Regards. I just purchased some CBD oil and not sure how to does my 22 pound Puggle. The syringe that came with it says mL. I tried googling conversion of MG to mL. Any suggestions and how much does with mL syringe?